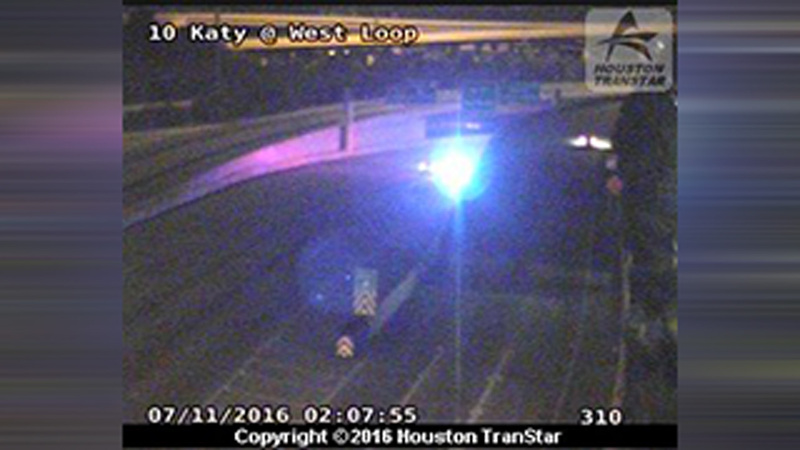 HOUSTON (KTRK) -- A person has died after an incident involving a motorcycle on the Katy Freeway. The accident happened on the exit ramp from I-10 westbound to the West Loop. Houston police say a man and a woman were riding on a motorcycle when they lost control. The female passenger was ejected over the rail and fell down onto Old Katy Road. The man picked up the bike and went around to check on the woman, who died from the fall. The man was transported to Memorial Hermann Hospital with non-life threatening injuries. HPD says they are still investigating to determine whether charges should be filed against the motorcycle driver. Both the man and the woman were wearing helmets at the time of the accident.